From artist Jerry Vanderstelt! 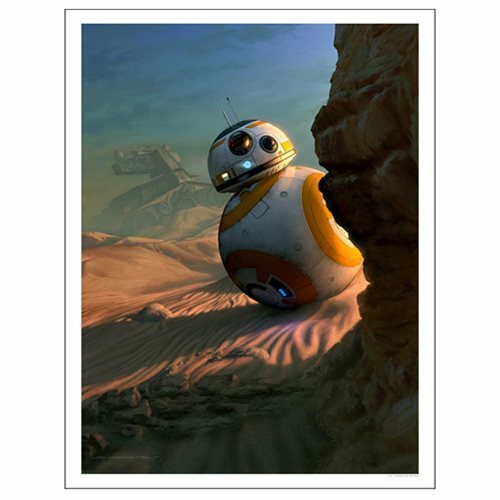 This Star Wars: The Force Awakens Sunset Vigil by Jerry Vanderstelt Paper Giclee Art Print shows BB-8 when he is first seen in the Star Wars: The Force Awakens film. A limited edition of 150 hand-numbered pieces, this giclee measures 22-inches tall x 17-inches wide.